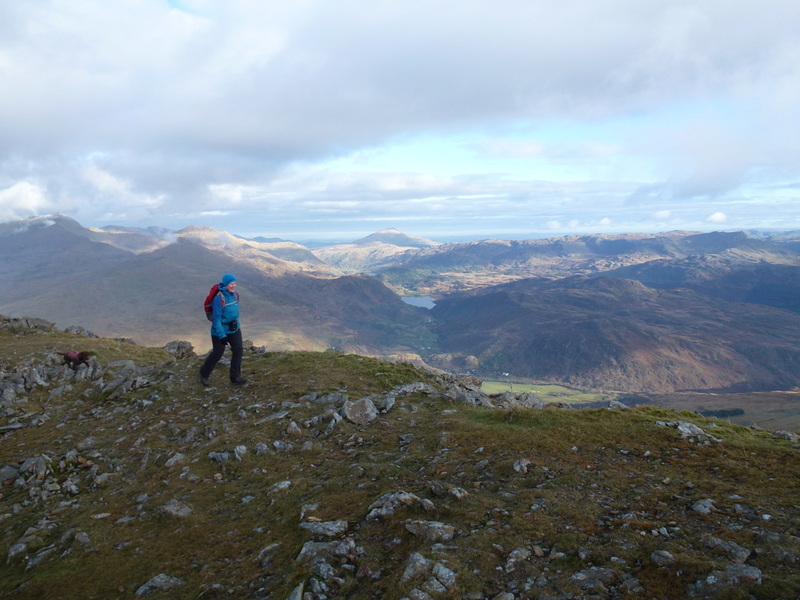 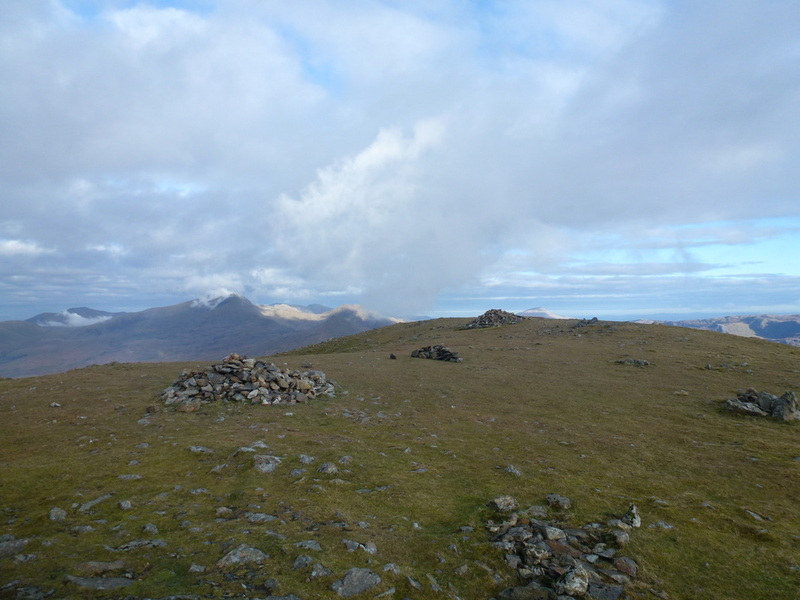 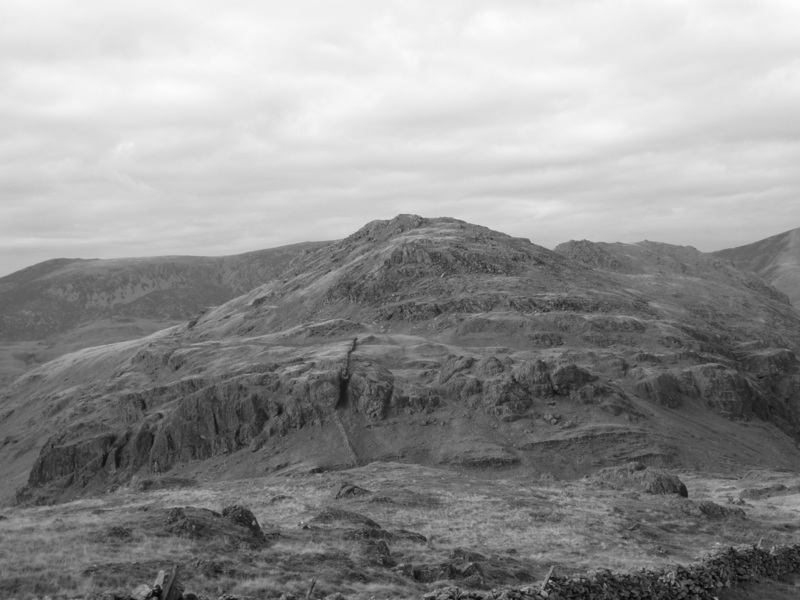 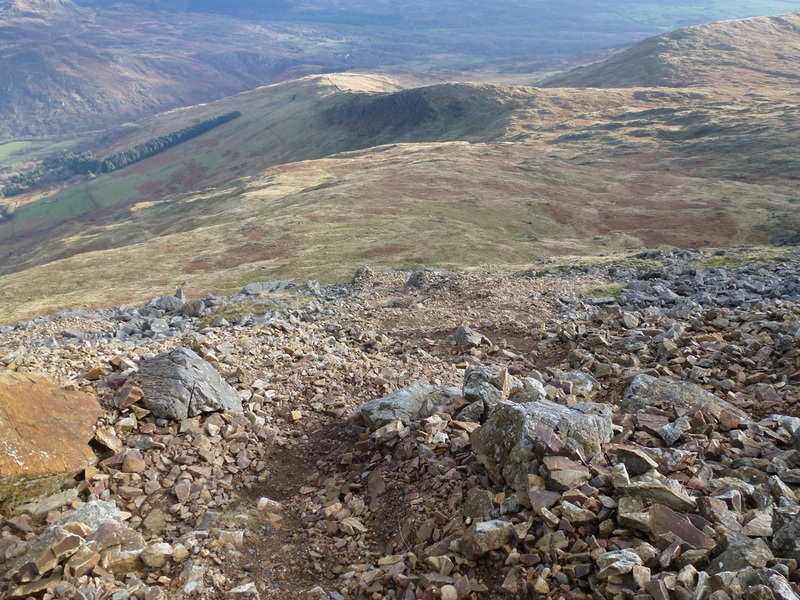 Good mountain paths generally with some loose scree and easy scrambling approaching the summit plateau of Moel Hebog. 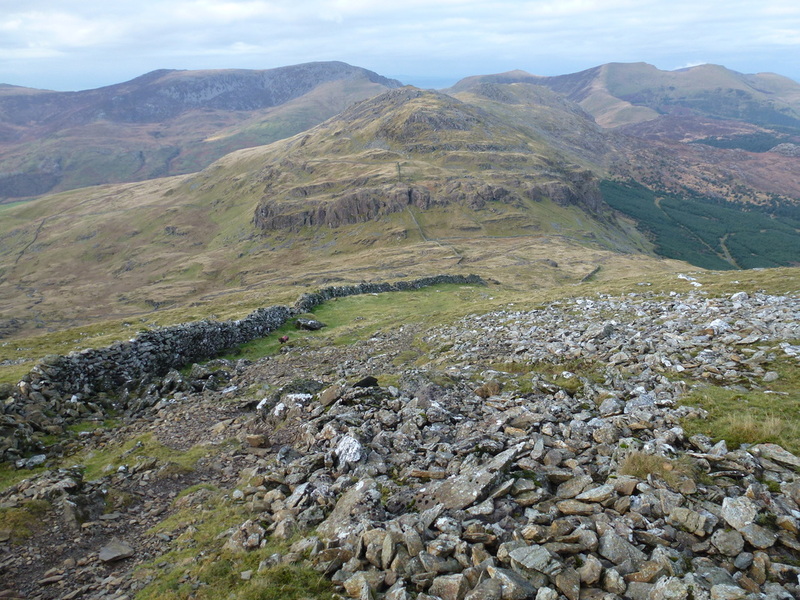 Additionally, the descent off Moel Hebog to Bwlch Meillionen is very steep and on grass at the start therefore after rain care needs to be taken. 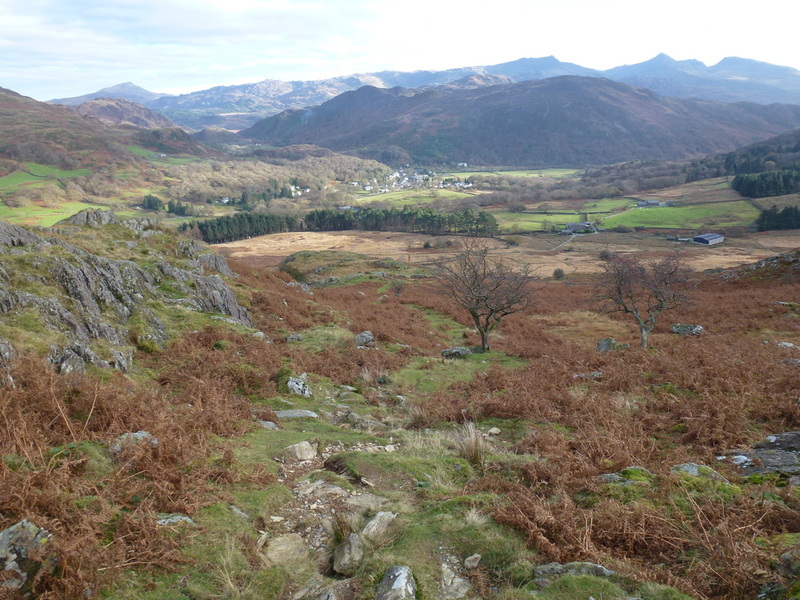 The path through the lower section of Beddgelert Forest at Cwm Meillionen was mostly festooned with tree roots and boggy in places. 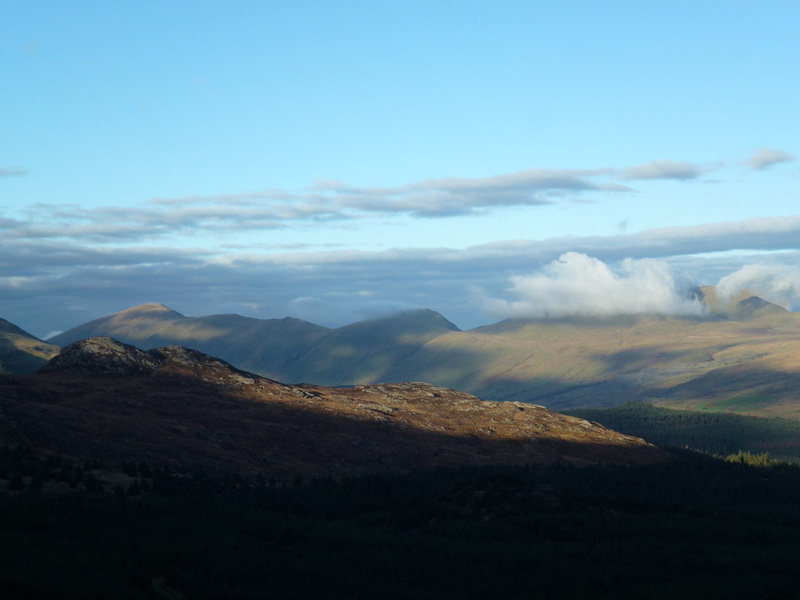 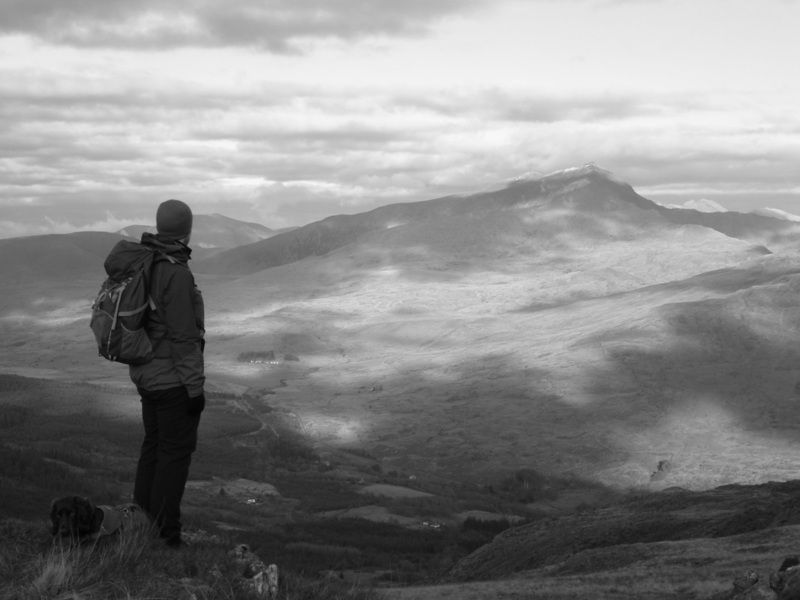 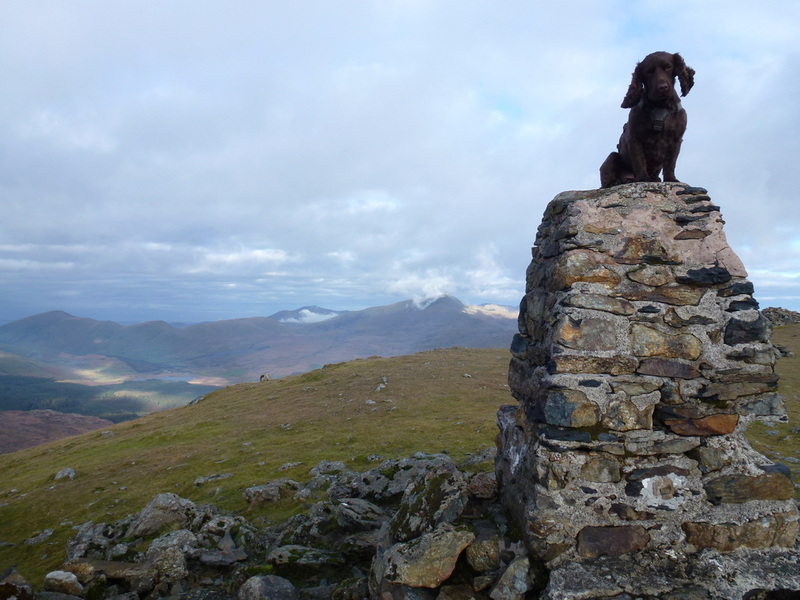 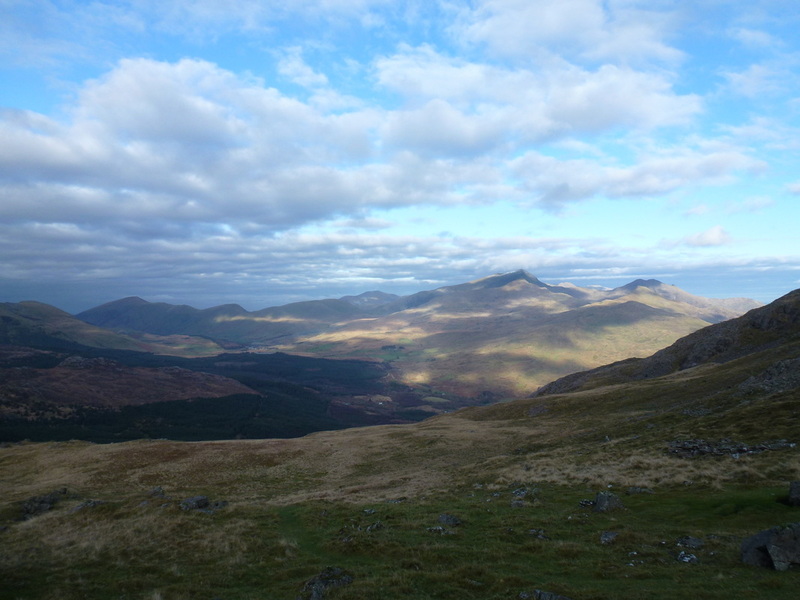 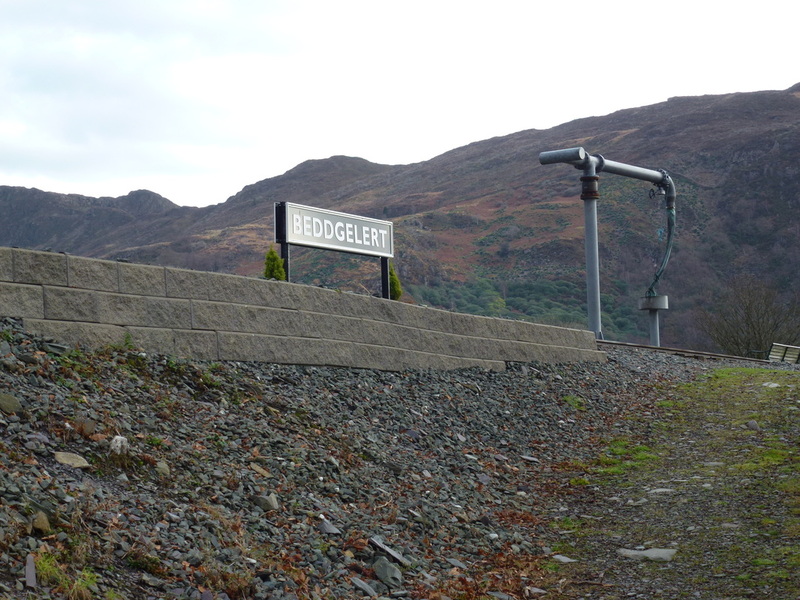 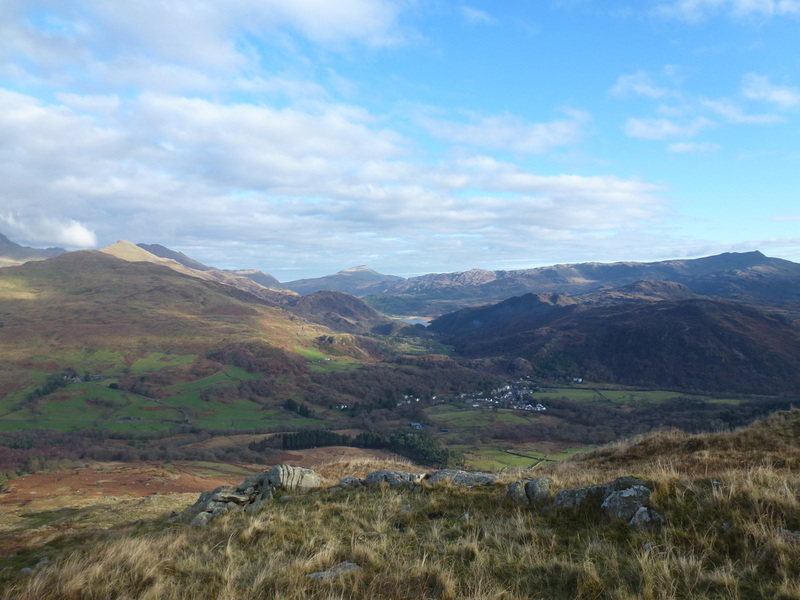 ​We have been to Beddgelert on many occasions and each time we are there or passing through we have always mentioned how lovely it would be to climb up Moel Hebog (Bare Hill of the Hawk). 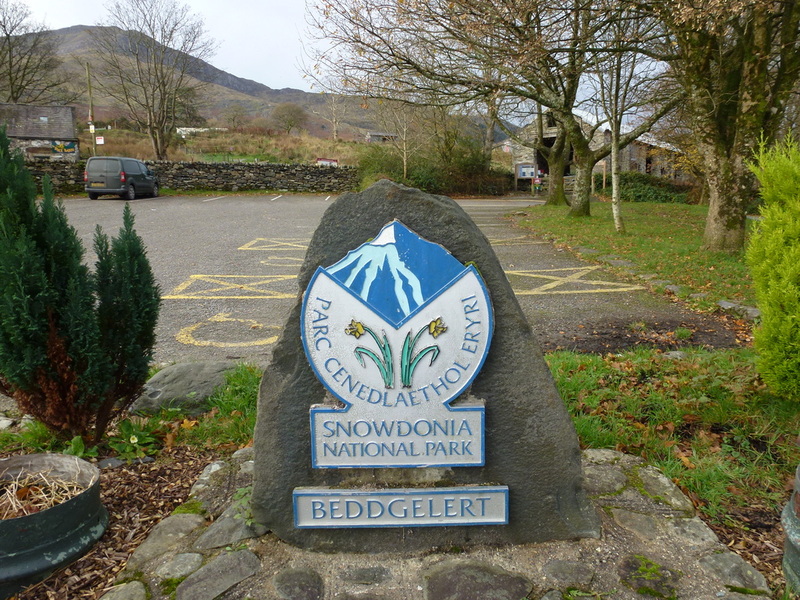 We were staying just outside the village therefore after a morning drive out to the Siabod Cafe in Capel Curig to have breakfast we made our way back to Beddgelert to ready ourselves for what we hoped would be a fine day out in good visibility. 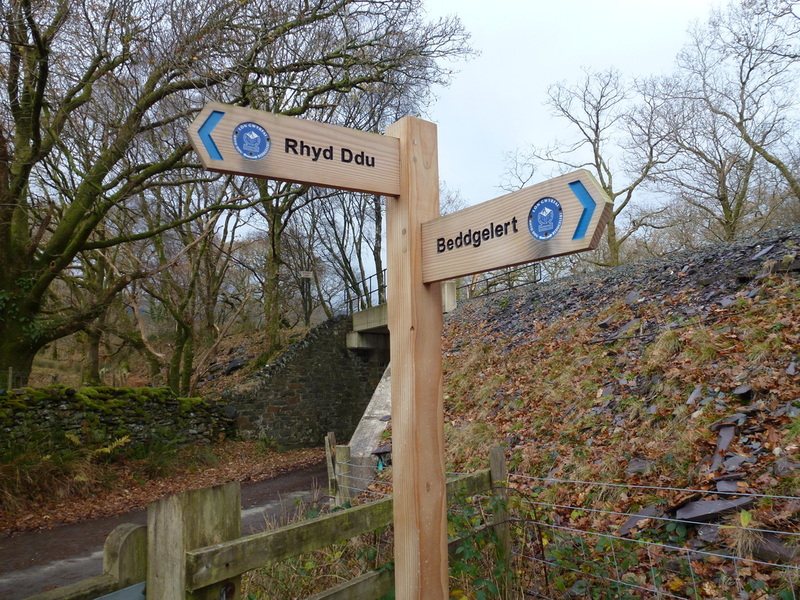 The walk starts from the village where there are several choices by way of parking. 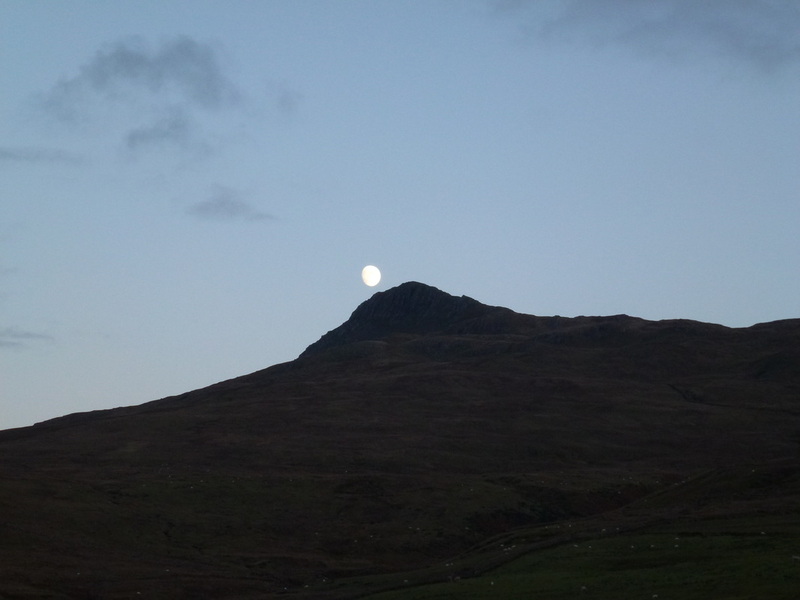 We parked in the free Car Park on the main road near the large outdoor shop. 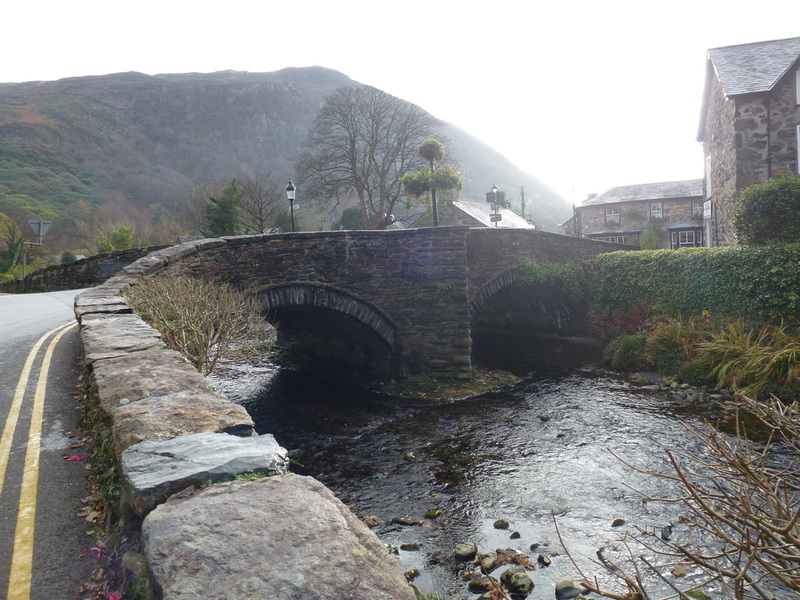 Crossing the bridge over the river we headed for the Welsh Mountain Railway where there is a good path leading to Cwm Cloch Isaf which eventually arrives at a gate on to open hillside. 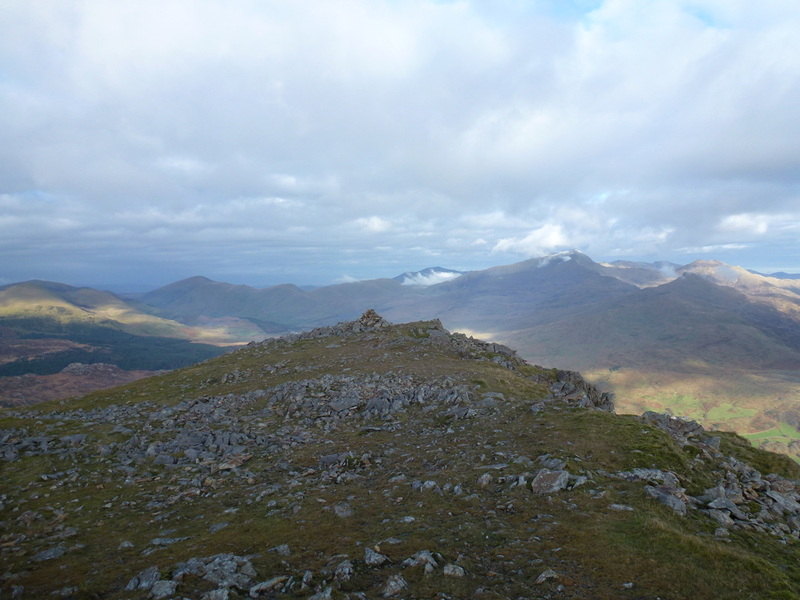 The path rises gently at first and as we gained height so the views over the surrounding area opened up. 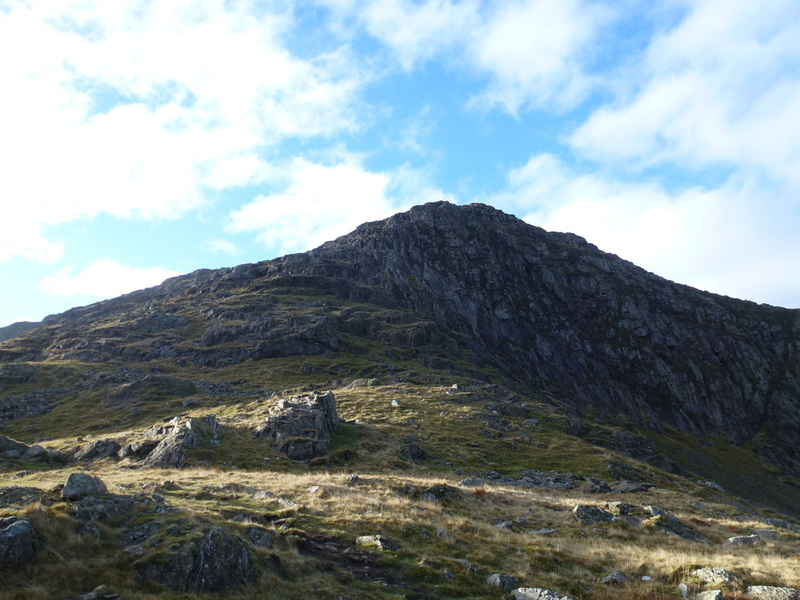 All too soon though, the gradient started to increase and we were soon climbing up amongst loose stone and scree but gaining height very quickly. 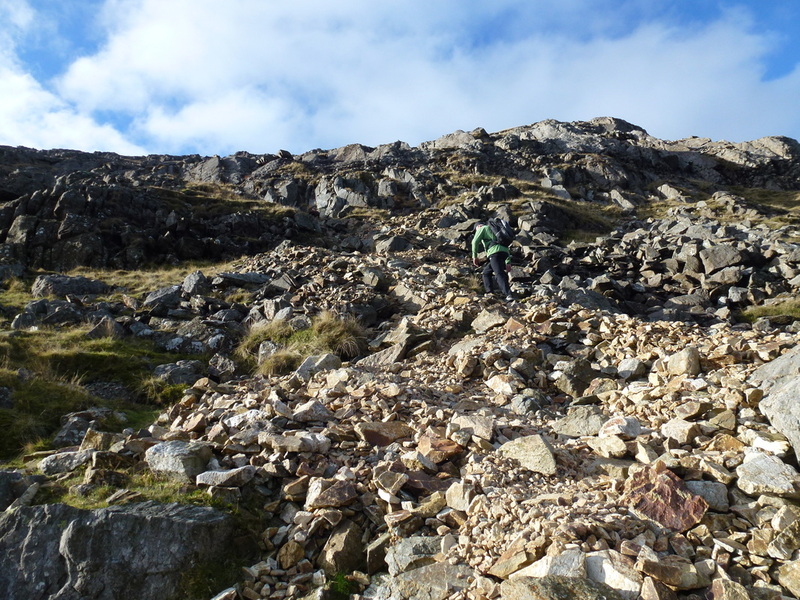 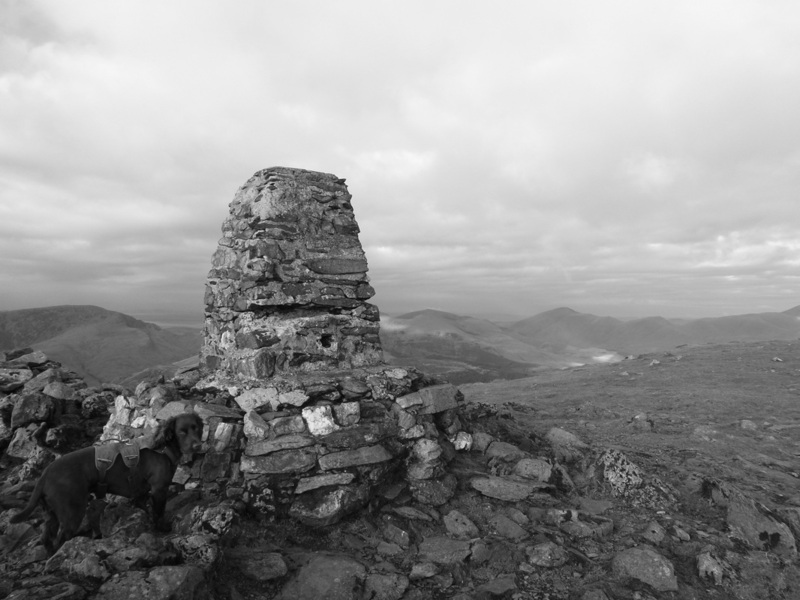 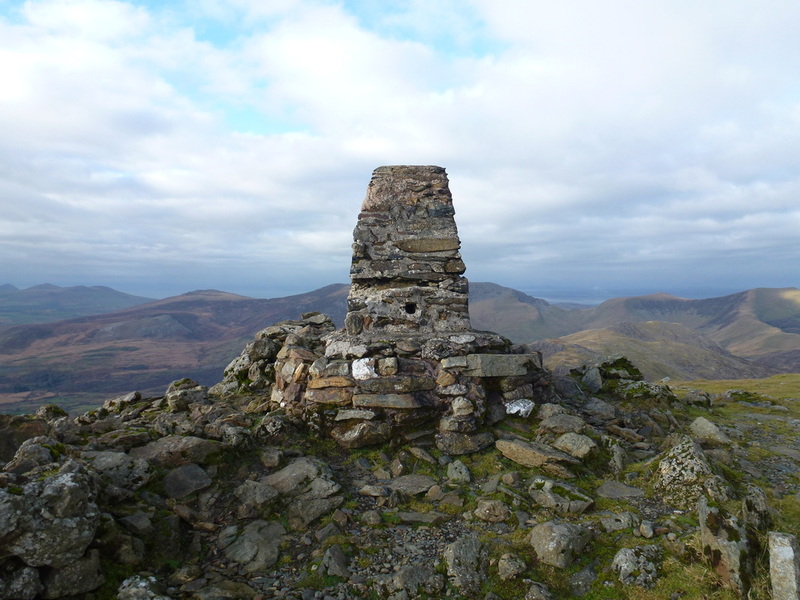 Reaching a cairn at the top of the scramble, we then enjoyed a delightful amble along a gentle grassy rise to the summit plateau that gave us superb views over to Snowdon, Nantlle, Moel Siabod and to Cnicht. 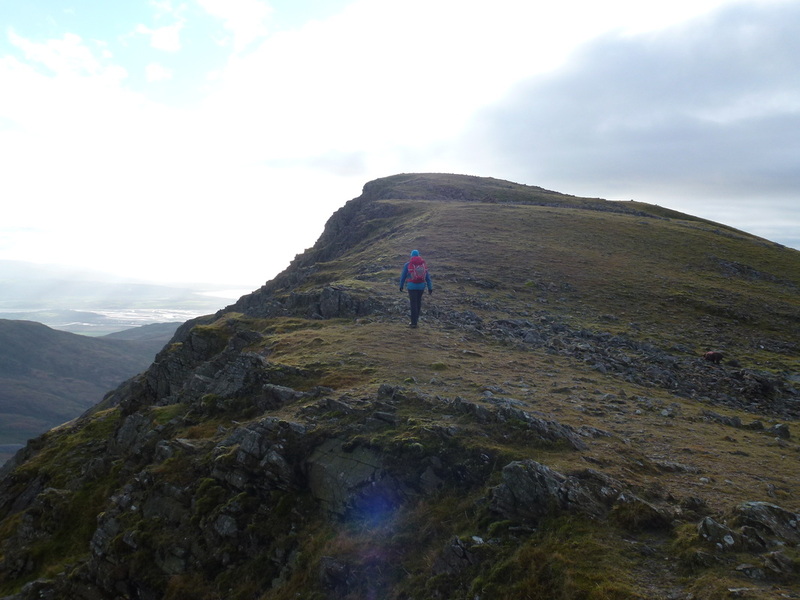 Leaving the summit, the descent off the mountain towards Moel yr Ogof (Hill of the Cave) is very steep at first and we needed to take care here as the grass was extremely slippery and gave way easily. 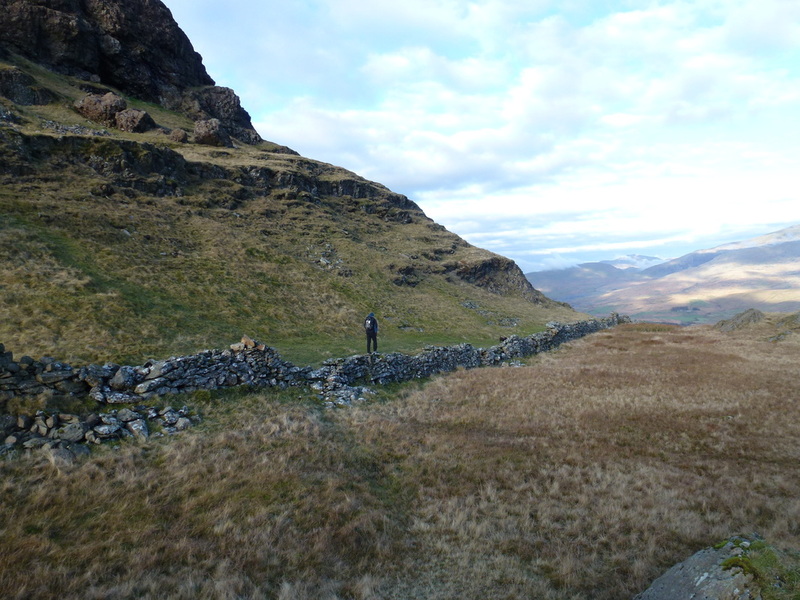 However the path quickly became stony and we were soon down at Bwlch Meillionen, turning right at the wall to follow the path down to the forest. 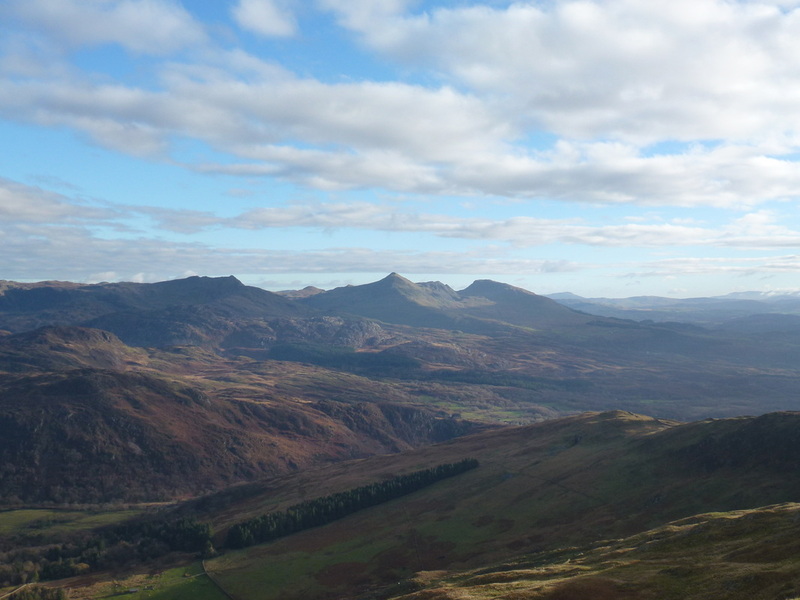 There is an option here to carry on up to the summit of Moel yr Ogof, visit Owain Glyndwr's Cave and carry on up and over Moel Lefn, descending to the forest and making your way back to Beddgelert from there. 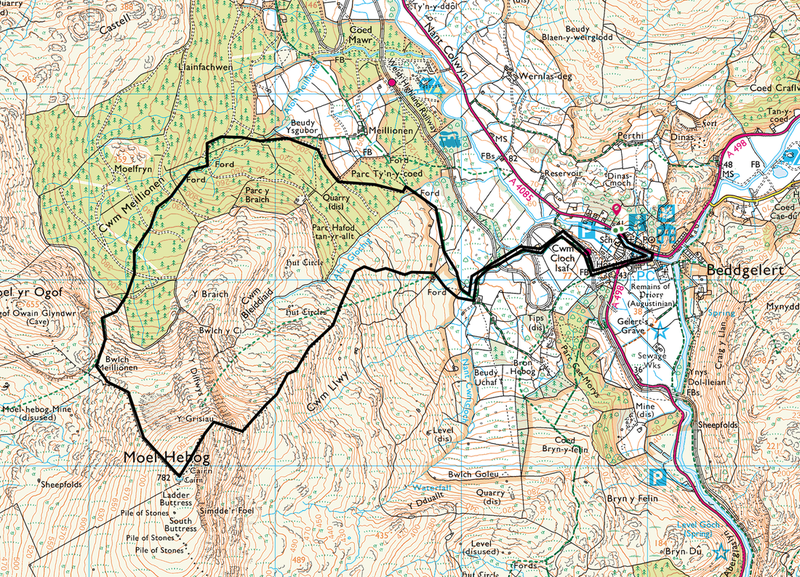 We were short on time today, therefore tempted as we were to visit the cave, we made our way down to the forest and through several boggy and tree rooted paths to the ford over the stream at Parc Ty'n-y-coed. 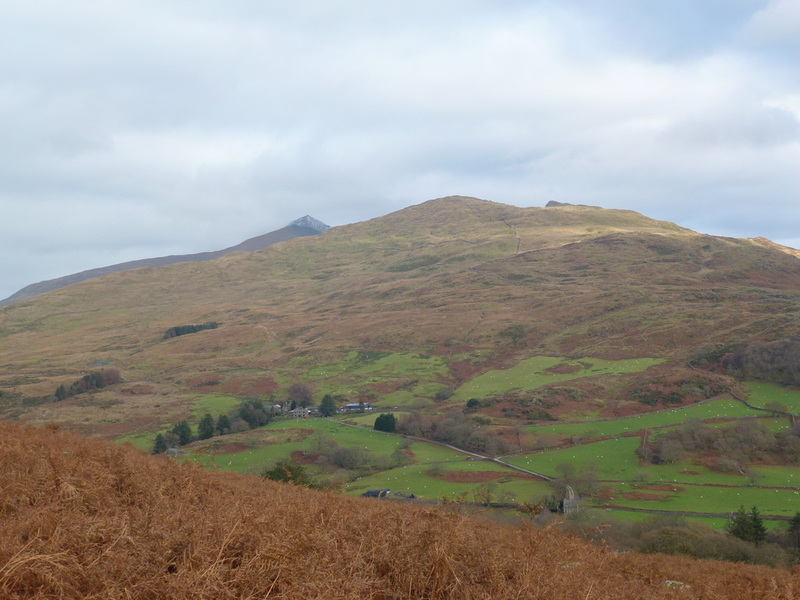 From here, we simply joined the Rhyd Ddu path leading to our outward route from Beddgelert. 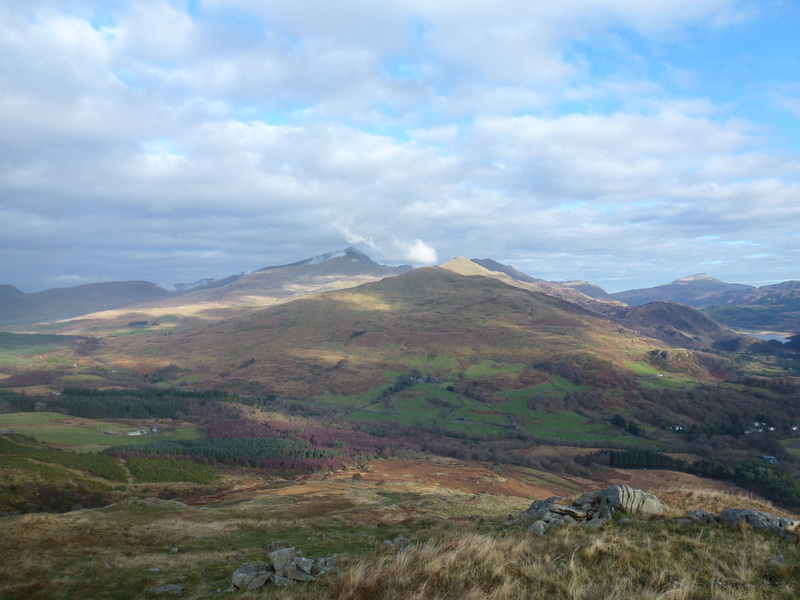 Moel Hebog is well worth a visit as on a clear day the views from the ascent, descent and the summit itself are fabulous but pick a day with good visibility like we did. 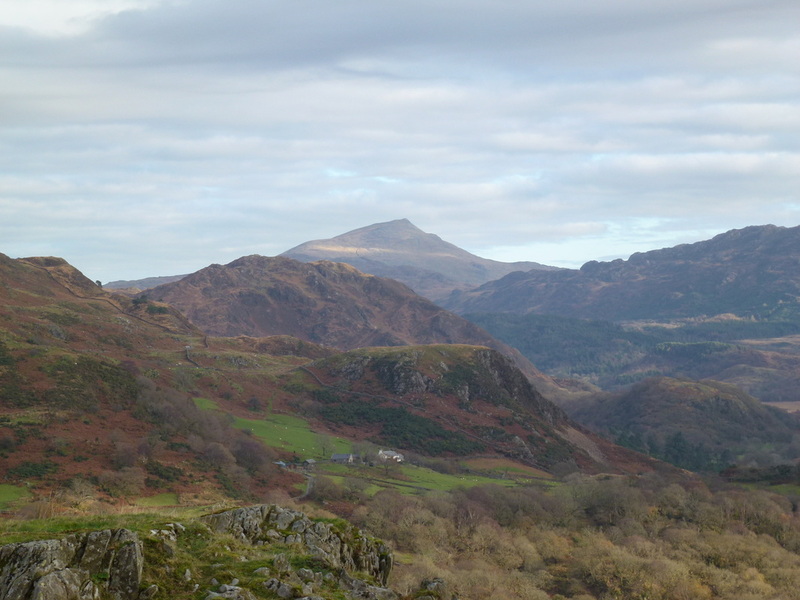 Angie doing her "scenery bit"
Moel Eilio left and Moel Cynghorion centre. 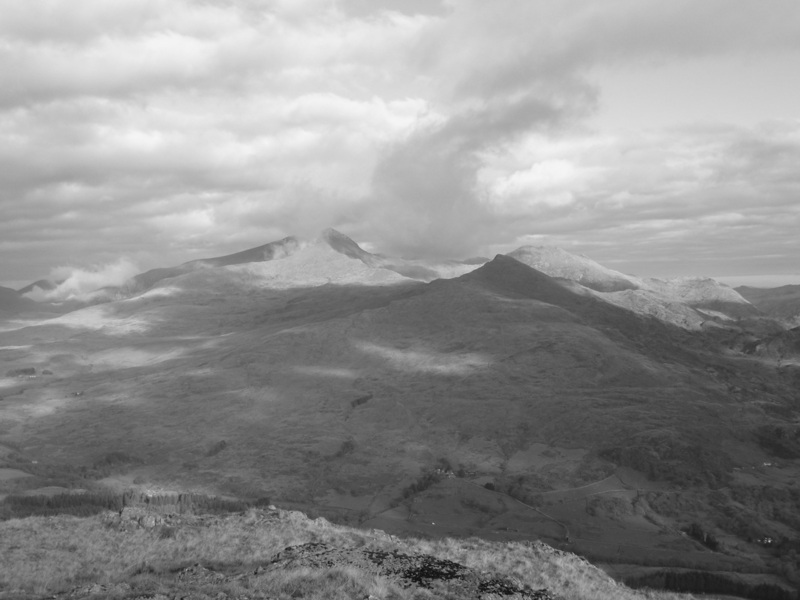 Snowdon is engulfed in cloud.